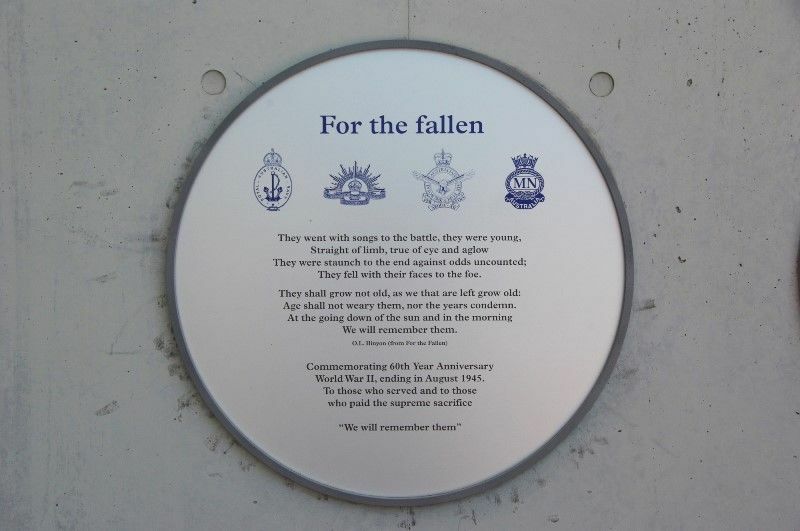 The plaque commemorates the 60th anniversary of World War Two which ended in August 1945. 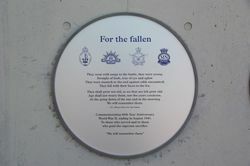 The plaque contains lines from Laurence Binyon's poem, For The Fallen. Commemorating 60th Year Anniversary World War II, ending in August 1945.